Looking for a fun way to celebrate Valentine’s Day with your special someone without breaking the bank? 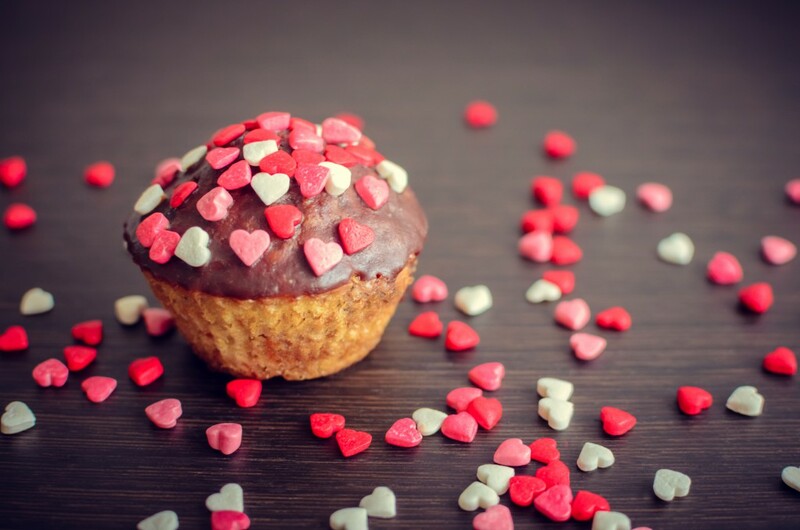 Here are ten ideas for a budget friendly Valentine’s Day celebration. 1. DIY Wine or Beer Tasting– You don’t need to go to a fancy vineyard or brewery to create a fun tasting experience. Buy several different types of inexpensive wine or beer, cover the labels and create your own tasting room. Research what pairs well with different wines and print out wine or beer rating cards so that you and your date can decide on your favorites. 2. Turn Your Backyard Into A Bistro– For a romantic evening at home, plan a menu that includes your sweetheart’s favorite dishes. Surprise him or her, or cook the meal together! Set up your backyard with some simple candles, play your favorite music and dress to impress. 3. Love at First Sight- Another great way to celebrate Valentine’s Day is to recreate your first date. Maybe you went to dinner and a movie? Cook the same meal you ordered that night, pop some popcorn and rent the same movie. Reminisce about the conversations you had that night and rekindle the flame that started way back when! 4. DIY– If you are a gift giver and still want to spoil your sweetheart without spending a ton of money, try making something yourself. You can start with a homemade Valentine’s Day card, specially baked treats, or even roll up your sleeves and make a special gift. You can create photo coasters, a special sign, coupons that can be redeemed for massages or chores or create a scrapbook of your favorite memories together. 5. Hide-and-Go-Seek– If you have kids at home and can’t get a sitter, set up a scavenger hunt after the kids go to bed. Use old mementos from your relationship like ticket stubs, old photos, etc. and write funny clues to lead him to each thing. Decide on a fun place to end the scavenger hunt- maybe in a bubble bath surrounded by candles or in the bedroom! 6. Camp Out– If you live someplace warm, pack up your bags and your tent and get away for a night of camping under the stars. This inexpensive option is the perfect low-budget trip that will help you feel like you got away from the hustle and bustle without spending a fortune on a fancy hotel. If you live somewhere cold, try camping in your living room! Build a fire, cook your dinner in tinfoil and roast marshmallows for the full experience. 7. Unplug– Plan a day completely unplugged from all electronics. Turn off your phones and computers and head outdoors for a nice walk, special lunch date or have a board game competition at home. 8. Head Outdoors– Rent tandem bikes, go fishing, stand-up paddle boarding or go for a hike. Get your endorphins going and get a good workout in and then head home for a relaxing and romantic bath. 9. Drive-In Movie Theater– Find a drive-in movie theater and pack a bunch of snacks for a nostalgic evening out. If you don’t have a drive-in nearby, project a movie on a big sheet or on your garage door and create the experience at home! 10. Change the Date– If you really love getting all dressed up and going out to dinner, consider celebrating on a different night. Valentine’s Day is not about celebrating on February 14, but is about taking the time to spoil your special someone and bring back a little romance into the relationship. Plan ahead or plan to wait and make reservations for a different night of the week where you won’t be forced into ordering from a prefix Valentine’s menu, or plan a fancy lunch date since lunch prices are usually more affordable. No matter how you choose to spend your Valentine’s Day, do it without spending a fortune! Get creative, think outside of the box, and remember that making your special someone feel loved and cherished is what is most important. This entry was posted in Frugal Living on February 8, 2016 by admin.